Defining Vermont's Brand | Resource Systems Group, Inc. The State of Vermont was interested in increasing visitation and tourism dollars for the state. Through an in-depth quantitative study, RSG teamed with the state’s Chief Marketing Officer to gain insights from Vermont vacationers, along with residents and major business in the state, to improve the state’s brand marketing. RSG used several advanced research techniques to inform the brand, including the identification of points of parity, points of difference and opportunities for Vermont, compared with its competitive set for vacation locations. RSG also evaluated the associations that vacationers had with Vermont’s brand, and segmented the market based on attitudes and preferences. RSG identified Vermont’s unique attributes that are most important to vacationers. RSG also identified specific imagery and messaging that most resonates with existing and potential vacationers. 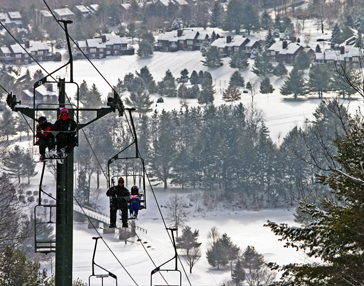 The State of Vermont, the Vermont Ski Area Association, and other member organizations throughout the state continue to leverage findings from this study to inform marketing to both in-state and out-of-state vacationers.